MasterClasses and workshops require registration. Attendees that are not registered for a MasterClass or workshop will not be admitted into the session. When it comes to helping startups and innovators succeed, “Customer Development” is the path chosen by hundreds if not thousands of entrepreneurs each year. This rigorous methodology, developed by serial Silicon Valley entreprneur Steve Blank, brings what is often called the “scientific method” to the typically chaotic, seemingly disorganized startup process. This rigorous, step-­‐by-­‐step process helps innovators at small startups and big company intrapreneurships ”get it right” long before they bring the product to market. Understand key elements of the powerful Customer Development process and learn how to put its core steps—Customer Discovery and Customer Validation—to work. This hands-­‐on session will dive deep into the process itself, with procedures, guidelines, case histories, and more. The session will be chaired by Startup Owner’s Manual co-­‐author Bob Dorf, himself a serial entrepreneur who teaches Customer Development at Skolkovo, throughout the world, and as an Adjunct Professor of Entrepreneurship at Columbia Business School in New York City. You want to sell more, produce more, keep employees engaged, retain your top talent – you want it all. It all starts in the brain. Recent neuroscience discoveries tell us what switches people on and what turns them off. What attracts and what repels. As we learn more about the brain, we have more accurate tools to help us do what we’ve been trying to do for decades. International Hall of Fame speaker, Scott Halford, CSP, CPAE provides insights into the lessons from neuroscience that help us achieve results and excellence. He is an internationally recognized speaker, educator and authority on emotional intelligence and the use of neuroscience in business. Through his interactive and engaging presentation you will learn how to better lead people to achieve results that drive your business strategies forward. Scott is the bestselling author of “Be a Shortcut: The Secret Fast Track to Business Success”. His upcoming book: Start Small, Start Now: Activating Your Brain to Tap Your Maximum Potential (working title) is based on his work in behavioral neuroscience and its business applications. It is due in May 2015. No one has done for the news what Wikipedia did for encyclopedias. How can we crowdsource the news? Already, a great deal of time and energy is spent sharing news via disorganized media like Twitter and blogs. This works, but it’s messy. What if we were to combine some of our praiseworthy sharing efforts together, more collaboratively? What if it were possible to create something more useful than Twitter and more complete and efficient than mainstream news sources? This talk should be attended by those interested in the Internet and social media, and especially collaborative content and citizen journalism. A deep dive into bolt to the soul empire buiding for women. We start with unveiling the pillars of personal success whilst recognizing that success for each individual will be by its own definition. We unearth the truths around work life balance and lay out tactical strategies for how to define your own work/life and do so in a way where you are not only successful but you feel that same success personally. Do not attend if you are not interested in specific take away tactics on how to build a business and life you love. This workshop is designed for women in entrepreneurship. Nanxi will share strategies on seeking marketing opportunities such as speaking engagements and being on elite panels. In addition, she’ll discuss how she approached raising money and interacting with investors. One of the biggest challenges when starting a new business, launching a new product or launching your first marketing campaign is promoting your product/services to the world. In this workshop, Stacey Ferreira will discuss tangible marketing and advertising processes and strategies to take when you’re starting your first business or launching your first product. She’ll discuss the best way to segment your target markets, give examples of the most effective means of marketing and messaging for those audiences, give tips on budget allocation for each stage of your business and evaluate the KPIs and ROI of each campaign you launch. This workshop is a collection of short creative visualizations and brief written exercises designed to assist with revealing your essence, your purpose and your unique talents. The workshop exercises will help you assemble these natural qualities in order to bring you closer to your instinctive work — work that’s inspiring, fulfilling and elevating to you and your chosen audience. The workshop tools put you on the path of realizing success through intuition and faith. We all have a purpose, so join us to help discover yours! One of the main ingredients of building a successful business is building a brand with credibility. As a start-up, you often have extremely high ambition and extremely limited resources. With the tools in this workshop you can realize world-class logo’s, websites, applications, print and more on every budget. Everyone interested in building credible high-value brands is welcome. Target Audience: Visionaries, Professional managers, new business development managers, strategists who want to pursue their bold ideas HR Professionals seeking to change innovation processes. What Will be learned: Why innovation at corporates do not work? How can you help yourself and your organization to change the way you innovate? Participants will learn new way of sustainable innovation. Food security is a nearly intractable problem, but lately social entrepreneurs have been making impressive inroads. Designed as a primer for new social entrepreneurs in food and agriculture, the workshop builds from a starting point at the production vs. distribution question. Attendees will interrogate existing supply chains for new opportunities, learn tools to frame these and their own business plans, and use a case study to explore ways to leverage trends to drive growth. We will discuss many points for preparing an internet venture business plan. Then we will touch upon what an angel investor is looking for and what are common mistakes entrepreneurs do when business planning or pitching. The aim of the workshop is to provide startups with helpful insights regarding their exposure to the media. During its course, participants will learn when and how to approach the media, how to promote their business and what to expect from this relation. Furthermore, there will be hands-on example of successful presentations to the media, as well as focal points startups need to take into account in order to distinguish themselves in an information heavy environment. Open Innovation is a key trend in management. Large companies, such as Samsung, Siemens and Philips, as well as smaller innovative companies and even startups are implementing open innovation practices in order to speed up the innovation process, reduce development costs and increase the impact of innovation. This workshop will provide participants with a thorough understanding of what Open Innovation is, present the reasoning on why a company should open up its innovation process as well as a strategic framework for managers aiming to implement Open Innovation in their companies. The aim of the workshop is to offer hands on legal information on the most important legal challenges a new entrepreneur will have to face at the very early stages of setting up his/her new company structure. Startup companies founders will find this work shop extremely useful in order to be prepared for the load of legal requirements they will have to face at the first steps of their company and to focus on the most important ones. “Data, data everywhere!” The Economist was proclaiming in a special issue three years ago. Since then, Big Data became the “talk of the day”, with extensive coverage in mainstream newspapers, magazines and even global economic forums. The emergence of sophisticated web applications, the proliferation of social networks, the massive deployment of sensor networks and other data-producing applications have led to an exponential growth of data volumes, unforeseen just few years ago. At the same time, the incorporation of a variety of data formats (structured, semi- and un-structured) into mainstream data analysis, along with the velocity aspect of modern applications, revise the fundamental aspects of data management and data-driven analysis. To demonstrate that quality of software is not a subjective term but rather it can be measured and therefore managed. To provide concrete examples of bad implementations of software and how these can be improved from a technical perspective. The aim of the workshop is to offer hands on information on how one can successfully perform the switch from academia to business. Being a graduate, especially with non-business oriented degrees can be a pain when job-hunting. Through engaging examples, hands on advice, the two presenters will suggest & discuss ways in which the graduates / junior academics can maximize their gains from the entrepreneurial sector. How they can brand, rebrand and best ‘sell’ themselves in highly competitive sectors, using their academic background and profile as a distinct competitive advantage rather than baggage that could lead to an ‘overqualified’ negative response from prospective employers. The Workshop leaders have applied all of the above numerous times in their professional paths and will provide examples and targeted advice to the participants. The participants will acquire knowledge & skills in CV-writing, strategic self-branding, personal marketing & positioning & interviews. The participants will be invited to bring up any challenges they have encountered in their own professional endeavors & receive targeted advice and feedback. The scope of this workshop is to provide specialized knowledge in Energy and Clean Tech trends and insights. Greater focus will be placed on the available energy resources and demand efficiency technologies. The workshop will also put emphasis on energy saving measures, localised energy solutions, renewable energy generation, microgrids and other proactive initiatives like demand-response mechanisms. It will run as an interactive dialogue among leading entrepreneurs, advisors, engineers and subject matter experts. The aim is to explore the unique entrepreneurial and business opportunities for targeted investments. Are you a young, innovative SME or an disruptive start-up? Do you have the next big commercial idea that will disrupt the ICT industry and conquer the world? Are you looking for money for your start-up, without giving up equity? Compared to traditional investors from the private sector, EU funding provides support with minimal strings attached and does not require Entrepreneurs to surrender any ownership of their idea or shares of their StartUp. In this workshop, we will try to see the whole EU-funding map for start-ups, help you identify the right grant that fits the purpose, stage and plans of your startup, find out what SME-Instrument, FI-Ware, COSME means ask everything you always wanted, but were afraid to. What prepares best youth for the 21st century workforce? Soft Skills development! During the workshop the participants will have the chance to practice a series of soft skills such as teamwork, communication, decision making, planning, organizing and prioritizing work all essential skills for success in the 21st century, both for healthy societies and for successful and employable individuals. Getting Started with Arduino and codebender! Join this workshop and get the opportunity to learn the basics around Arduino using codebender. The participants of this workshop will find out what are the Arduino’s capabilities, how it can be used as a microcontroller to affect and control the surrounding environment and how to build low-cost devices equipped with sensors and controllers with great ease. All this will take place in a friendly environment using codebender: an online, easy to use, advanced IDE for Arduino, which allows the user to code fast and easily, as well as to collaborate with others and share code and ideas. Get ready to build whatever comes to your mind, be it a climbing robot, a satellite, home automation or just bells and lights for Christmas. In order to take full advantage of the workshop and be able to program an Arduino yourself, you need to bring a laptop with you. 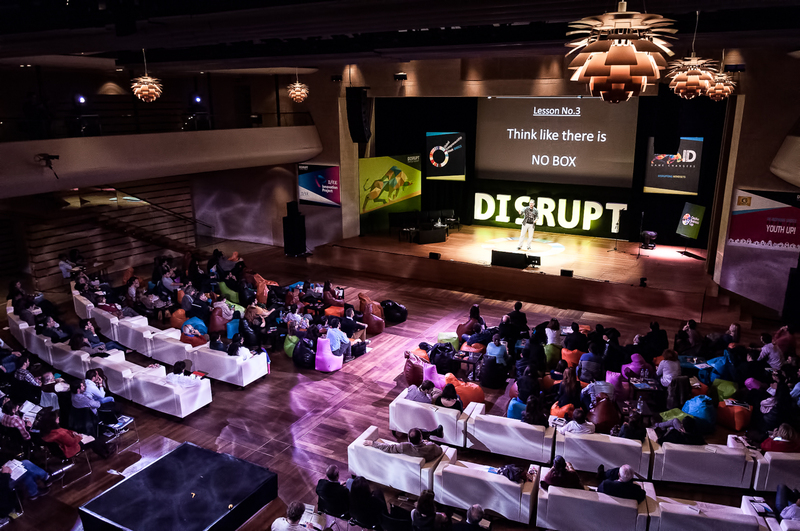 The Founder Institute is the world’s largest entrepreneur training and startup launch program, helping aspiring founders across the globe build enduring technology companies. Meet some of the startups that went from idea to venture in 14 weeks and meet some of the mentors that supported. Ekinisi Lab is a leading technology transfer program in Greece that assists aspiring entrepreneurs to devise their business strategy and explore their competitive advantage. Join us and unfold the secrets with experienced coaches, mentors and young innovators: Do’s and don’ts, IPRs, team development, go-live strategies, entrepreneurial best practices and more. Join this workshop to meet with egg teams and discuss how they are turning their innovative ideas into model businesses. If you have a new idea and want to get started with your company, see how the EGG – ENTER.GROW.GO incubator and acceleration program can help you providing effective business training, one-stop-shops and access to a network of distinguished mentors to accelerate your business ideas. The scope of this workshop is to provide specialized knowledge in Social Media Analytics & Insights. This workshop was designed exclusively for those who want to gain knowledge on analytics and insights and learn to read the number right and thus counting correctly the performance of their investment in Social Media. Ιt is a unique opportunity for the participants to learn the basics of how to measure the performance of their campaigns.